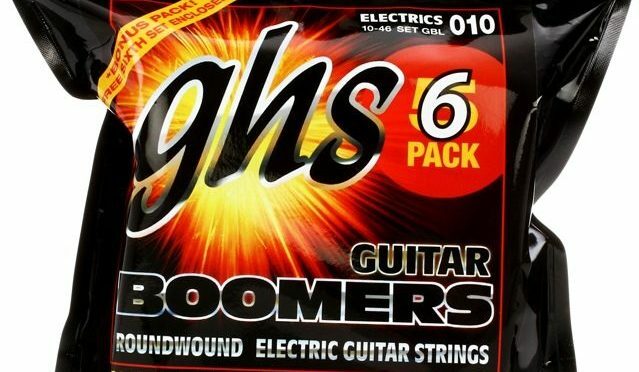 Are GHS Strings A Better Choice For Players? - Welcome To All That Shreds Magazine! I asked Jon Moody, who’s Manager of Digital Brand and Product Development at GHS, in his opinion, what makes GHS Strings a better choice for players. WHAT MAKES GHS STRINGS A BETTER CHOICE FOR PLAYERS? Truthfully, that’s such a loaded question. I could tell you all sorts of marketing jargon and things of that nature, but I think our artists speak for themselves. We have a bunch of big name ones sure, but the bulk of our artists are the ones in vans, driving across the country for months/years on end, playing in small bars and clubs. Those are the artists that don’t get free strings and still rely on GHS to keep them going, gig after gig. I’m honored that these artists come to us – and recommend other artists they tour with – for their strings. And above that, many of those artists I can call friends, and that’s more important. WHAT DIFFERENTIATES YOU FROM THE COMPETITION? There are a couple of things. One is the core diameter. Across the board (electric guitar, acoustic guitar, bass), we use a slightly larger core diameter than nearly everyone else as we’ve felt that’s where the sound and tone come from. On many of our electric guitar sets (Boomers and Nickel Rockers, for example), we still use round core wire over the industry-standard of hex core as we feel the tactile feel of that is preferable to what we want as well. The other is size; despite being available worldwide, at the core, we are a small, family-owned business. Because of this, we have the ability to spend as much time as available to speak with artists, builders, and dealers to try and help them find the perfect string for them. As the head of Product Development, I also get the chance to take some of these artists’ “Can we do _____?” kind of statements and turn them into reality. For example, I’m working with Dave and Sarah from A Fine Constant on some custom 8 string guitar sets from our Progressives line. I also just finished up a signature guitar set for Jeff George of We Are Harlot.